OFFBEAT MAIL: Will ethanol supply glut drains OPEC revenues? Will ethanol supply glut drains OPEC revenues? 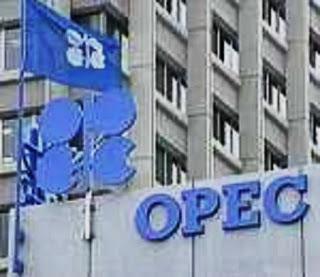 What will OPEC do if it runs out of revenues from the huge sales of petroleum products in the open markets? If this happens, the likely scenario is that OPEC, which is the second biggest supplier of petroleum products to the United States, will feel the harsh impacts of declining revenues from oil exports. Alone, the United States imports about 3.24 million barrels of oil per day from OPEC, which accounts to 35 percent of the total gross imports in 2014, reveals by the U.S. Energy Information Administration. The EIA adds that this volume is slight lower than what the United States buys from Canada, which is estimated at 3.39 million barrels of oil per day, or 37 percent of the gross total imports. However, this scenario is slowly changing after the United States Congress enacted the 2007 Energy Independence and SecurityAct, which was intended to reduce the U.S. energy dependence from the Middle East after 9/11, says Bloomberg Businessweek. As a result, the rapid fracking of oil from the shales has gained momentum thus allowing the United States to produce more oil that it needs to satisfy the rising demands of millions of consumers. This is not to mention the program that would allow the blending of a certain amount of ethanol into the fossil fuel to make the pump prices much cheaper and good for the environment as well. But here is the twist to this development. On November 30, 2015, the Environmental Protection Agency (EPA) has mandated domestic oil refiners to blend only 18.1 billion gallons of ethanol into the nation's gasoline supply next year, adds Bloomberg Businessweek. But this figure was short by 4.1 billion gallons that was required under the 2007 Energy Independence and Security Act. This also means that less ethanol on the gasoline will be advantageous to the economic interests of OPEC and other petroleum exporters to the U.S. Now, OPEC has the option to sell more oil at a price it wants to mark up. Strange but true, the American taxpayers had pumped tens of billions of dollars in subsidies and tax breaks into ethanol development since the 1980s. According to Businessweek, about 40 percent of U.S. corn goes into biofuels, which Americans paid an estimated $40 billion a year more at the grocery store. As this developed, nobody knows if the U.S. Department of Energy, environmentalists and other consumer groups, are propping up the interests of big oil exporters to the detriment of public good?